There are many reasons that visitors flock to the Virgin Islands each and every year. However, at the top of the list is a thirst for relaxation and rejuvenation. St. John provides a variety of opportunities to do just that, from sprawling white sand beaches to laid-back bars stocked with St. John rum and flavorful island cocktails. Whether you’re looking to spend your vacation days soaking up the sun with a drink in hand or adventuring across the island in search of nature and history, St. John has a little bit of it all. However, we’re going to focus on a favorite island way to unwind: St. John rum. For more information on the best places to find St. John rum, read our blog page. 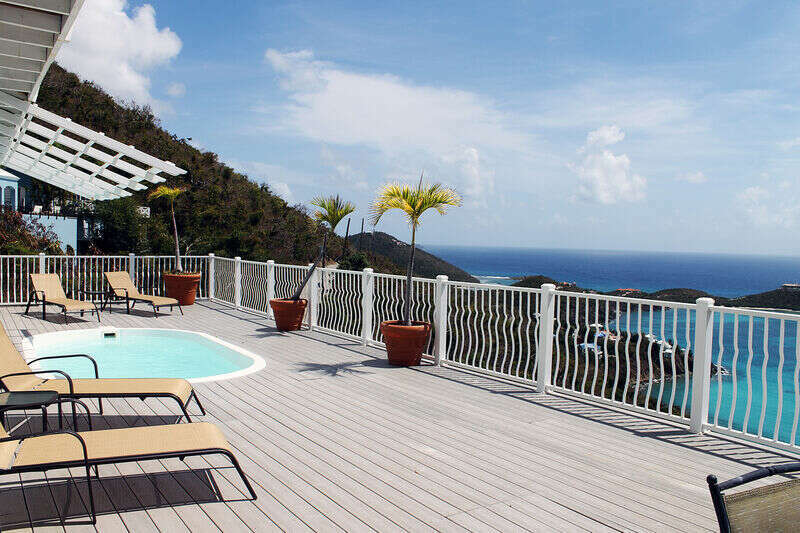 It is full of restaurants, bars, attractions, and more near your CimmaronStJohn vacation villa! Island time beckons visitors to beach bars in the early afternoon, offering a variety of delicious St. John rum drinks and frozen cocktails. There are so many delicious beverages that you can enjoy during your island adventures! Here are just a few. There are many rum concoctions that you can indulge in during your stay, but by far, the most famous Caribbean rum drink is the Painkiller. Created in the British Virgin Islands, the Painkiller is a sweet blend of island rum, pineapple juice, coconut cream, orange juice, and nutmeg. This magical mixture creates one of the most delicious drinks that you can enjoy at the beach! Another classic St. John rum recipe is the Lime in the Coconut. This refreshing beverage is a celebration of the rejuvenation that you will feel during your time in the Virgin Islands. The delicious drink features light rum, coconut rum, and lime juice. It is a great refresher to enjoy while you are lounging in the sun or shade on one of our many St. John beaches. Originating in the southern Caribbean on the island of Barbados, the Dark and Stormy is another classic rum favorite. The blend includes dark rum and ginger beer for a slightly less sweet taste than some of these other island favorites. A splash of lime juice will top off this creation nicely! Virgin Islands specialty beverages are some of our favorites and we hope will be some of yours too! One St. John rum recipe to add to the list is the Cruzan Confusion. Mixing specific blends of Cruzan mango rum and coconut rum, along with pineapple juice, this cocktail is fruity and fun. You’ll love ordering one of these at a local island bar! We couldn’t forget the classic Rum Punch when talking about St. John rum recipes! This is a similar blend as some of these other flavors, using rum and pineapple, lime, and orange juices. However, it also includes grenadine and optional sour mix, bitters, and guava juice. An orange slice and cherry on top finish this beverage off nicely! While visiting a beach bar is not a bad idea during your stay, another great option is to grab a pitcher out of the kitchen cupboard and put your mixology skills to work to create these rum drinks at your CimmaronStJohn vacation home. Many of our homes offer stunning island and ocean views, along with extensive porches and large pools. Sit outside and enjoy these amazing views while sipping on a St. John rum concoction! This is a great way to spend time with friends and family at the end of an amazing vacation day.